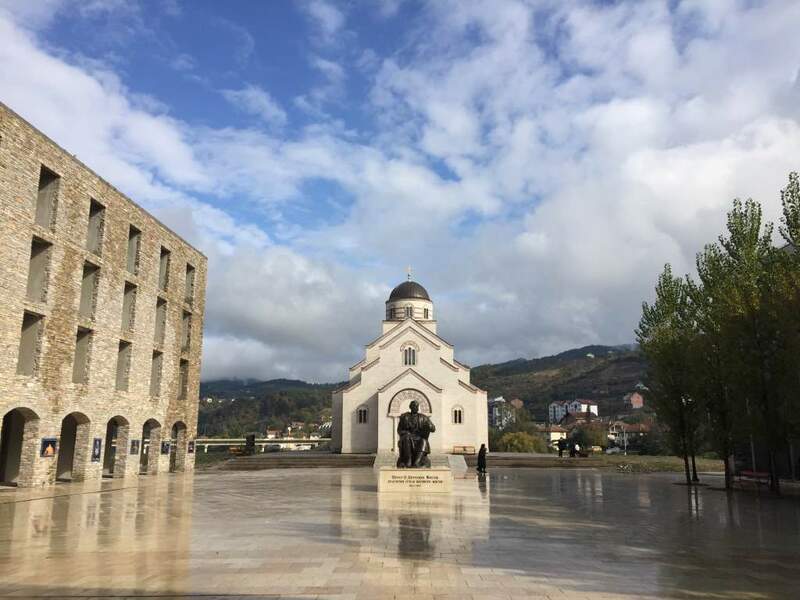 Not far from the bridge on the green Drina, at the Church of the Holy Prince Lazar in Andricgrad (or Kamengrad in Visegrad) His Grace Maxim, Bishop of the Western American Diocese celebrated the Divine Liturgy on Sunday, October 16, 2016 on the feast of St. Dionysius the Areopagite. 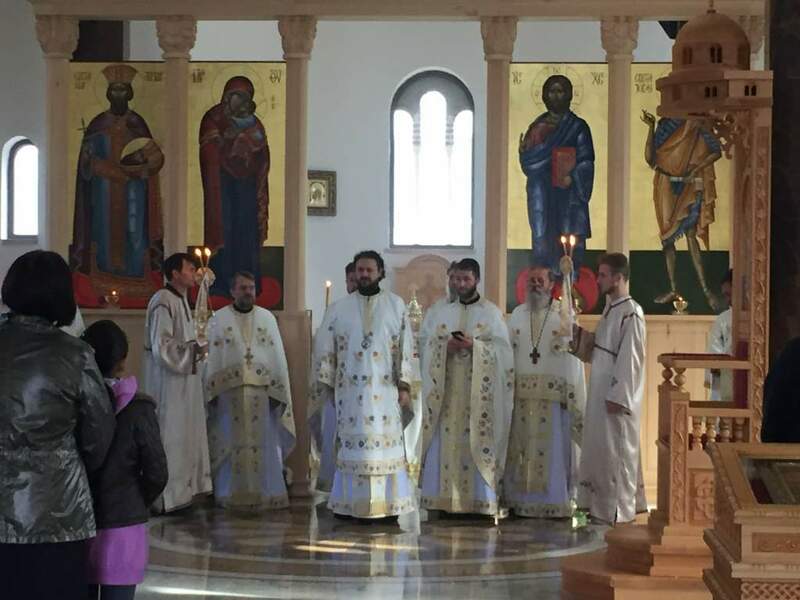 Concelebrating with His Grace were clergy from the Diocese of Dabrobosna from the Visegrad, Foca and Rogatica region. The faithful from Visegrad attended the prayerful gathering. Drawing from the morning's gospel reading, the bishop preached to the gathered faithful of the fruits of Christ's resurrection according to the words of the holy Apostle Paul: If then you were raised with Christ...put to death your members which are on the earth...since you have put on off the old man and have puto n the new man who is renewed... The bishop said, "Leave the body of darkness, vice and everything which seperates you from God's love." 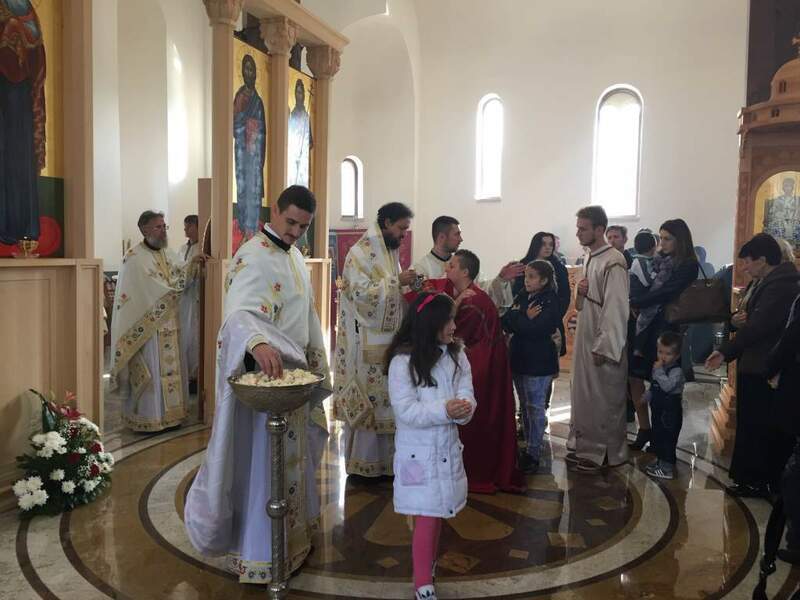 The bishop stressed that the aim of man's life is to be called sons and daughters of God, which is acquired through the Divine Liturgy, through the Gifts which Christ has given us, culminating with Communion which obligates us to ethical living. The bishop explained the gospel story of the woman of Canaan and Christ's dialogue with a Gentile. "Christ respects her person, her suffering and pain because of her daughter's illness. It is touching the manner in which the Lord calls people to Himself , all for their salvation," said Bishop Maxim. Calling the faithful to pray to God at the liturgy for the gift of life and love through the eucharist, the bishop called for mutual solidarity, forgiveness and love and, with the example of Christ's love towards the Gentiles, that we all open our hearts for everyone, helping each other. 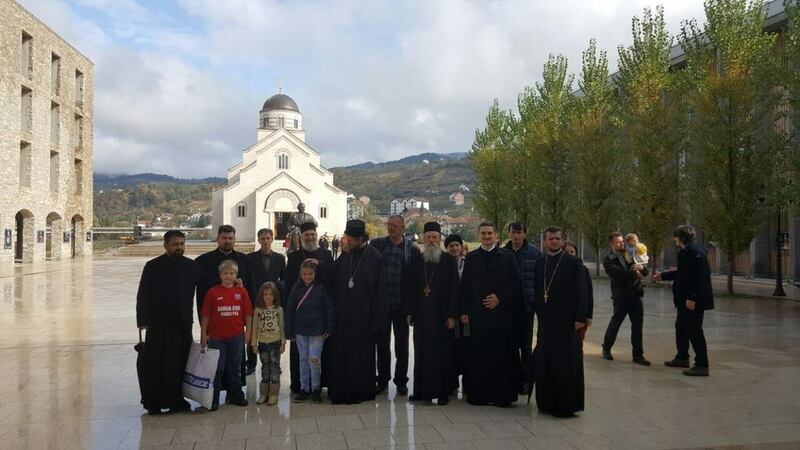 After the Liturgy, Bishop Maxim spent time with the people and children of this historic city filled with many sights from medieval and modern times, after which he visited Monastery of the Dormition of the Most Holy Theotokos in Dobrun where he served a Pomen in memory of Metropoiltan Nikolaj of blessed repose.